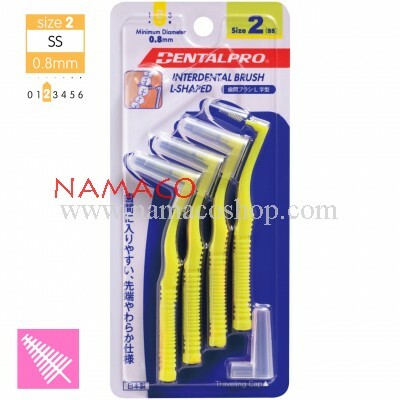 DentalPro L-shaped Interdental Brush makes it easier to remove plaque, even from the molars. It removes almost all plaque when regular brushing and flossing cannot reach, thus provide effective protection against periodontal disease. The L-shape allows easier cleaning between the molars, so there is nowhere plaque can hide. Sizes range from Size 1 (0.7mm) to Size 3 (1 mm). 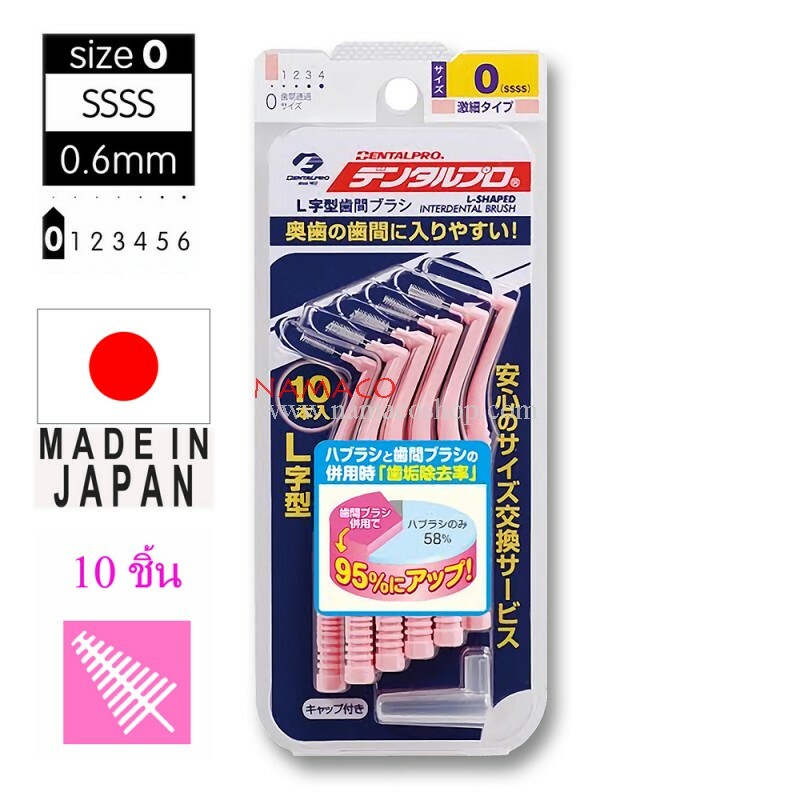 Best-selling Interdental Brush in Japan (Made in Japan). L-Shaped rush for easy access to molars. 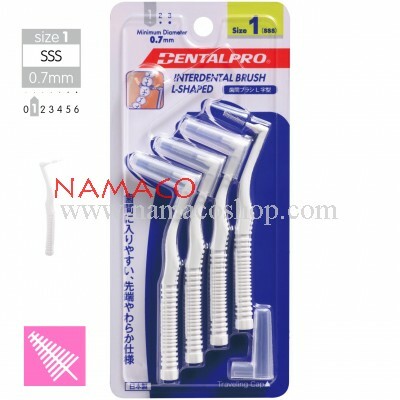 Stainless alloy brush stem resistant to bending and breaking. 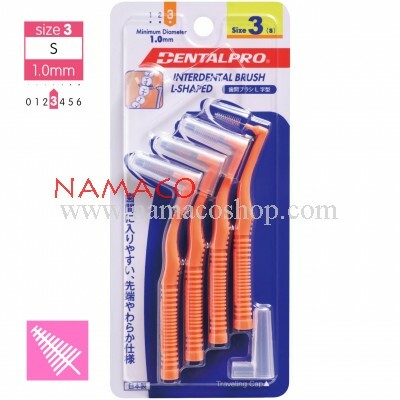 2-stage bristles makes insertion between the teeth easier. (1) Soft bristle tip reduces the load on gum when entering gaps. (2) Caps for portable are attached.